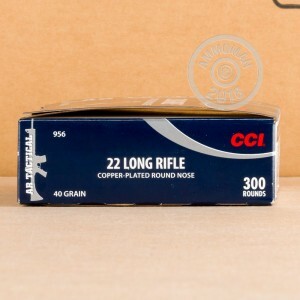 These 22 Long Rifle Rounds, from CCI, are specifically designed to operate in, and properly cycle AR-15 22lr conversions. 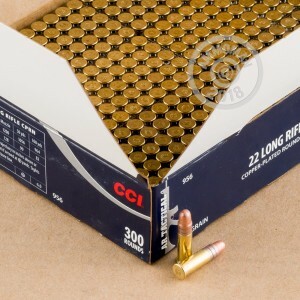 This allows for greater economy and safety, while training or plinking with your AR pattern rifle. 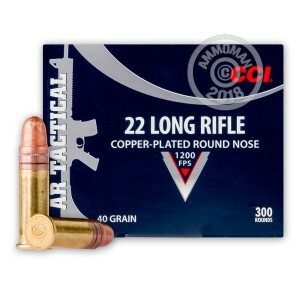 Each round features a 40 Grain Copper Plated Round Nose bullet, making it great for both plinking and varmint control, while reducing muzzle fouling. CCI manufacturing is part of the Vista Outdoors family which includes Speer, Federal, Blazer and Estate Cartridge. 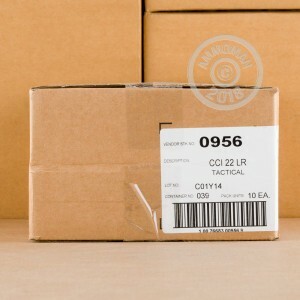 Remember, all orders over $99 ship for free, from AmmoMan.com, so pick up a few boxes today!